“Would you like to know the story of this table?” asks our tuxedoed maître d’ Matt with a proud smile. We are at historic Melvyn’s in Palm Springs and have just been seated in a spectacular corner table with a great view of the chandeliered dining room. “You are sitting at what was once Frank Sinatra and Ava Gardner’s table” says Matt. 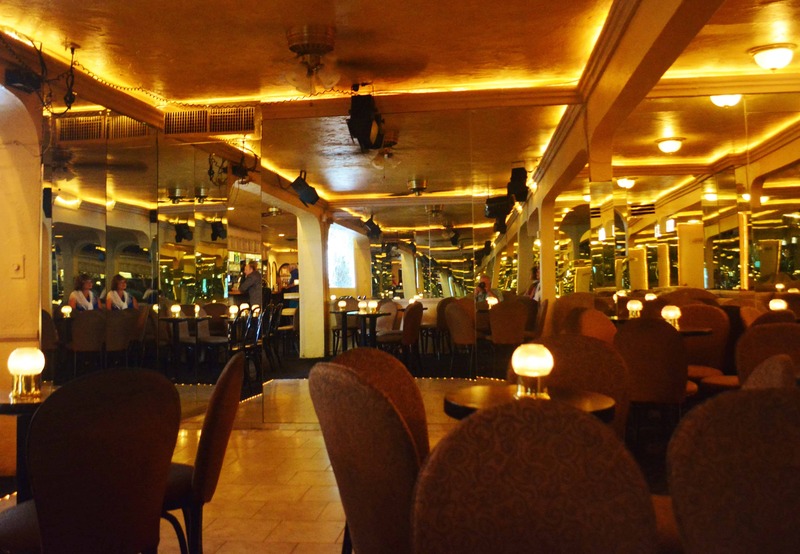 History is all around us and we’re savoring every moment at this amazing dining establishment built in the 1920s. Melvyn’s is located at the Ingleside Inn, originally built as a Spanish-style estate for the heirs to the Pierce Arrow Motorcar Company then known as the “Rolls Royce” of America. When the family matriarch died, Ruth Hardy from Indiana purchased the estate, converting it to a 20-room bungalow hotel. The small restaurant on property hosted only guests of the hotel. 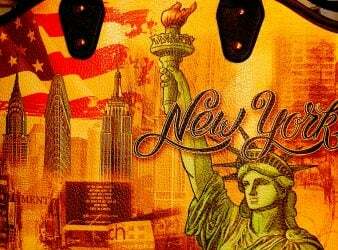 At the time, the restaurant had no liquor license so famous visitors like Howard Hughes, Salvador Dali, Norman Vincent Peale and Spencer Tracy brought their own favorite libations. But the property was definitely the gathering place for the rich and famous. 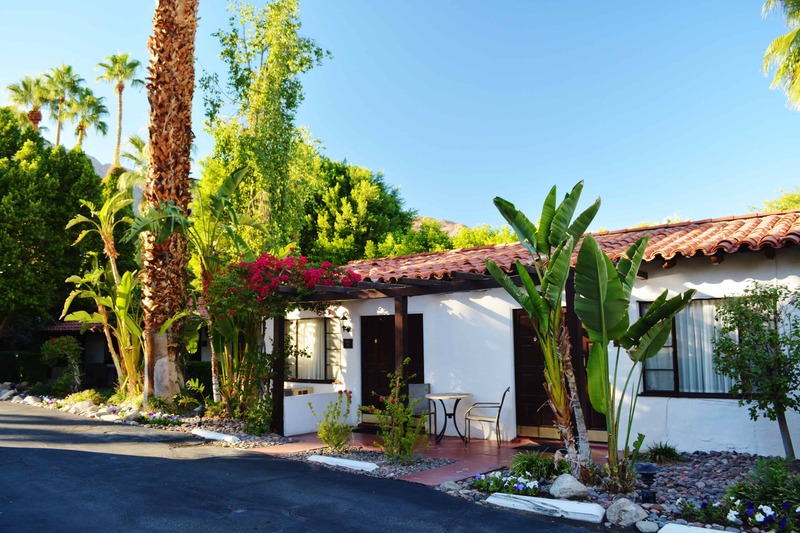 In 1975, Melvyn Haber (known as Mel by his friends), a New York businessman visiting Palm Springs, fell in love with the Inn. 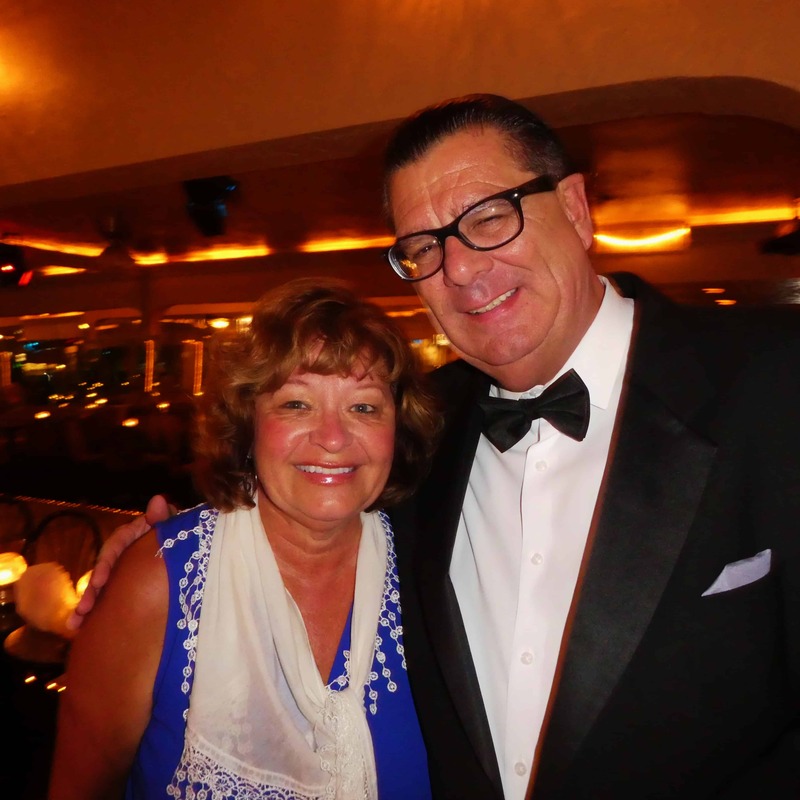 He purchased and renovated the property and created Melvyn’s Restaurant and the adjoining Casablanca Lounge. More importantly, this quiet secluded desert oasis offered them privacy from the watchful eyes of their studios and the press. Even today the inn and restaurant emote a timeless luxury and old Hollywood glamour rapidly disappearing from our more modern era. Come they did, dressed to the nines in tuxedos and flashy ball gowns. Seated in the elegant dining room immersed in Melvyn’s grandeur we keep our eyes peeled on the entrance half expecting to see someone famous come through the door. We’re starting to feel like stars tonight as every patron here is treated like one. Guests with martinis and champagne in hand talk, laugh and share stories The dress here is not quite coat and tie, but it’s definitely a step or two up from the usual Palm Springs casual. There is a palpable air of comfortable sophistication here and a sense that we’re in for one incredible dining experience. Waiters are professional, unobtrusive and charming. They know the menu well and aren’t afraid to make recommendations. 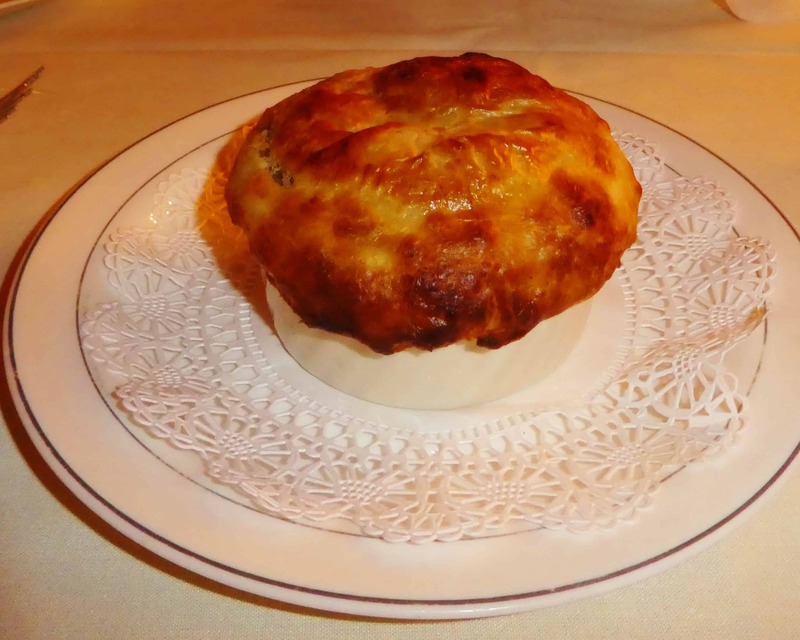 We begin with Escargot in Puffy Pastry with chopped walnuts and spinach in a classic garlic-shallot butter sauce. 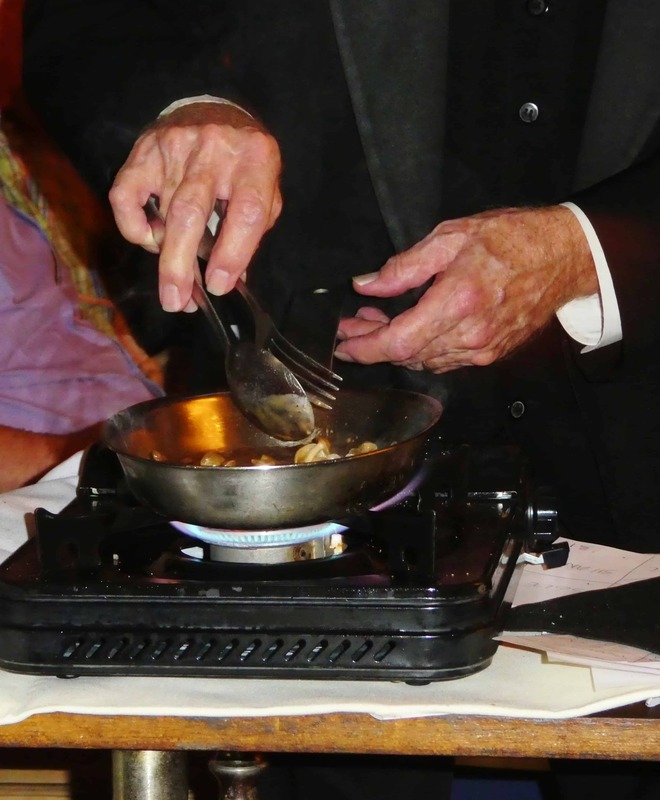 Never having Escargots served this way, we are more than impressed. The pastry enhances the buttery texture to a traditional Escargot dish and the walnuts add a slight and unexpected crunchy texture. A shared seasonal salad of chilled baby Romaine, bacon, egg and blue cheese with a creamy Roquefort dressing is a must-do for its crisp taste and incredible melding of flavors. The menu, while not extensive is certainly classic and some items have been here for decades. We understand why after ordering two of the restaurant’s most popular entrees. 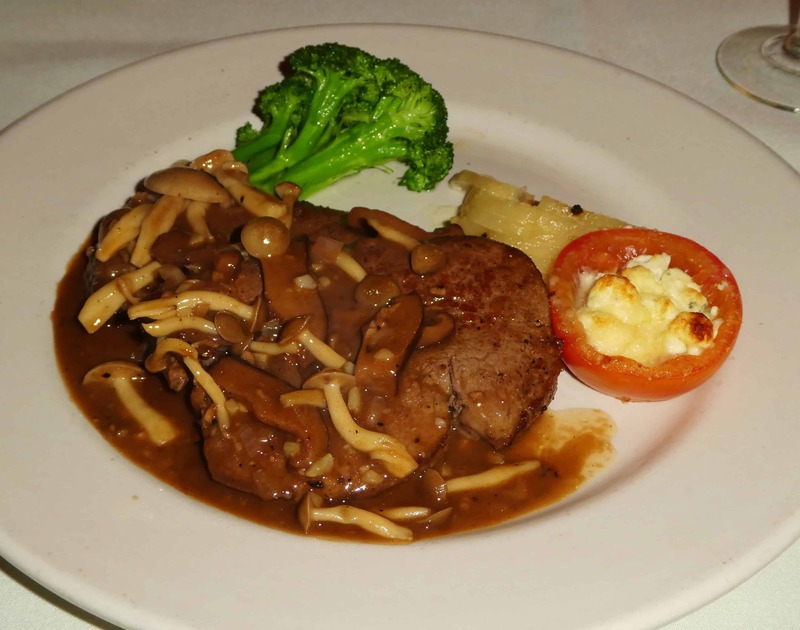 Steak Diane, a Sinatra favorite consists of filet mignon medallions prepared tableside with shallots, French mustard and a red wine demi-glaze. The steak is melt-in-your-mouth tender and the preparation compliments the entrée without overwhelming it. 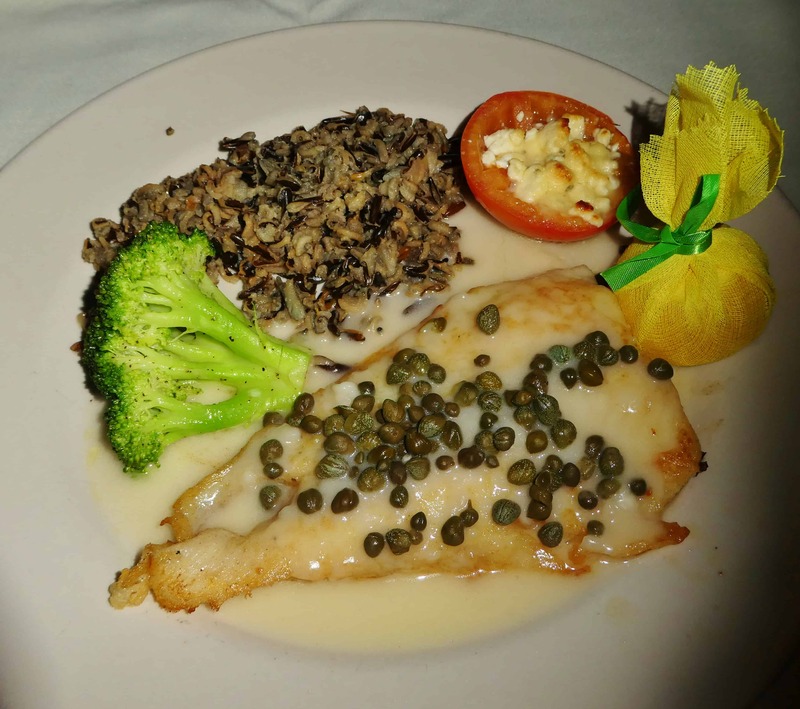 Next, Sole de Piccata sautéed with Chardonnay, fresh lemon and capers arrives accompanied by seasonal vegetables and wild rice. Fresh and cooked to perfection the savory Sole, like most entrees here, was pan-seared and served tableside. A dropped napkin is immediately replaced in our lap with a new one. A finished plate leaves the table almost unseen. And new silverware appears without our noticing. 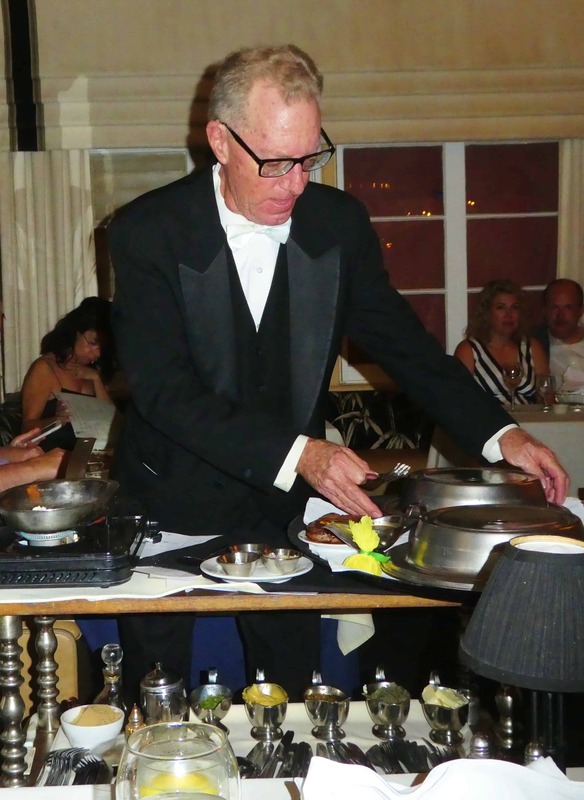 It’s as if magic is at work here but we know it’s just plain top-notch impeccable service. Some of the best we’ve ever seen. 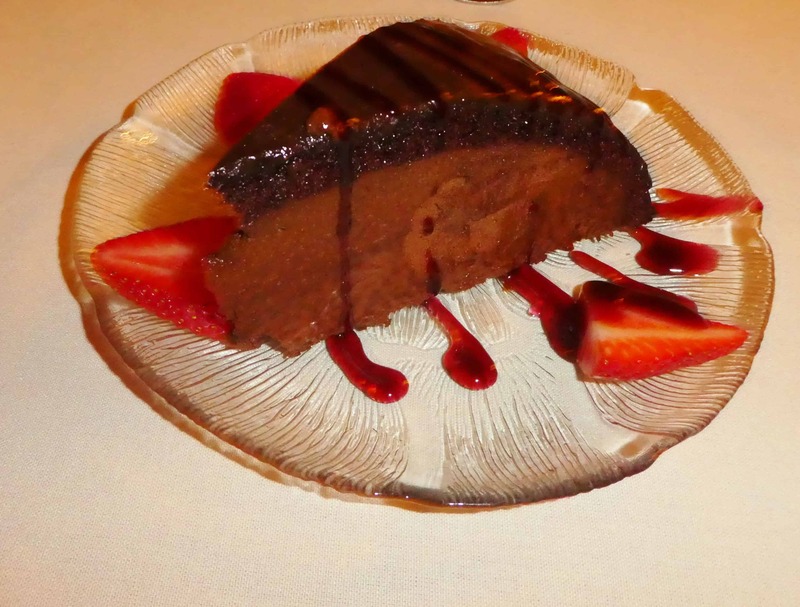 Matt comes to check in on us and says we must at least share one of the restaurant’s famous desserts. He recommends a Chocolate Bomb described as “Surfing the Chocolate Wave”. Like many of the other dishes, this one had a delightful story attached to it that Matt was happy to share. The light but rich concoction was the perfect finale to a magnificent meal. Two superbly prepared cappuccinos sealed the deal. We feel as special as the rich and famous stars and celebrities who headed to the lounge after dinner for cocktails, dancing and entertainment. 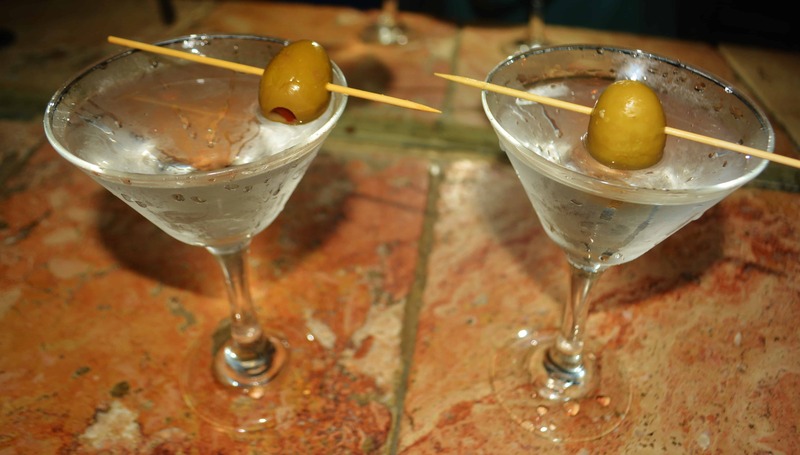 A classic martini, complete with green olive fits the mood. And he’s even got the famous “Dobbie doobie do” down pat. The likes of Bob Hope, Marlon Brando, Lucille Ball, Jerry Lewis, Liza Minnelli, and Clive Davis and a host of other stars surround us. Their black and white photos taken with Mel Haber adorn the bar and lounge. If these walls could talk, what incredible stories they’d tell. 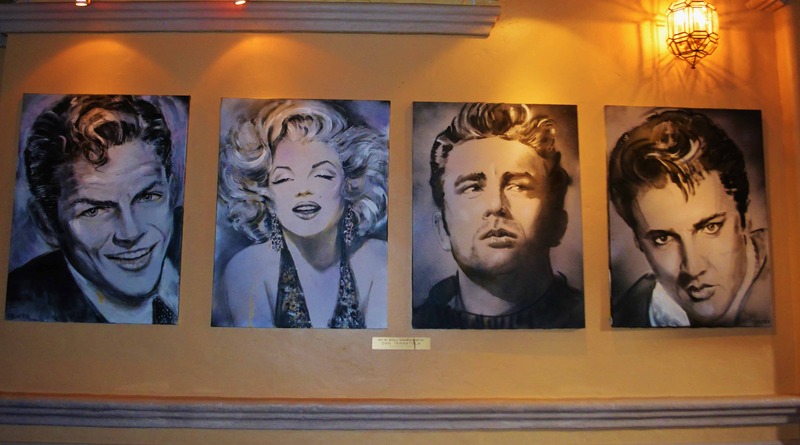 The portraits of James Dean, Marilyn Monroe, Elvis Presley and Frank Sinatra hang near the piano, but their presence is felt far more deeply than the mere portrayal of their images. Somehow it feels like they’ve never left. Sadly, Mel Haber died on October 26, 2016. But the PlumpJack Group who Mel Haber knew and respected became the proud new owners of the historic inn and restaurant. Renovations are currently under way. 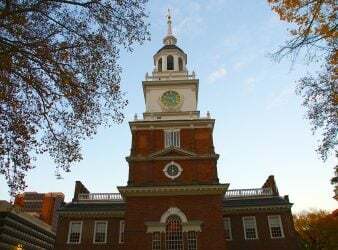 Their plans include bringing the establishment into present day, refreshing it while carefully preserving its rich heritage. 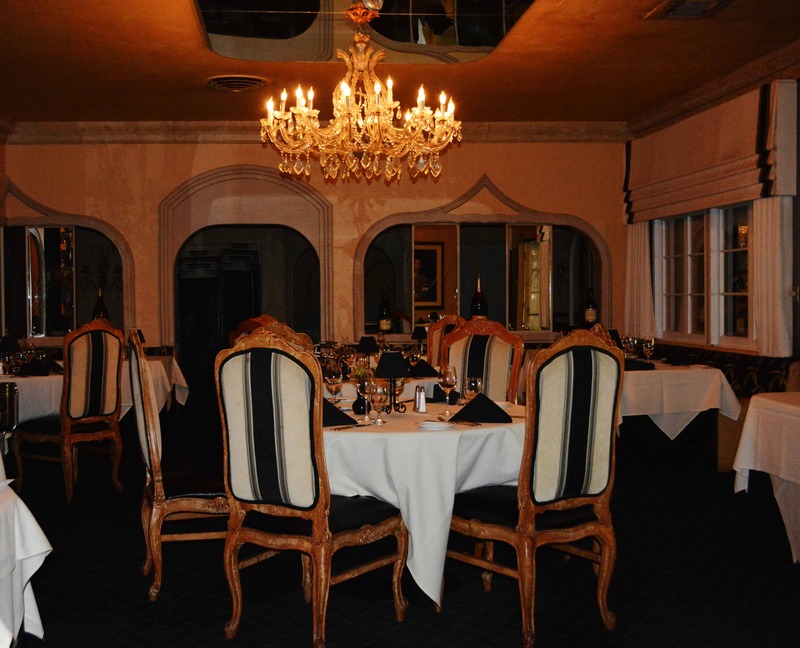 An overriding goal in the refurbishment is to honor the lasting legacy of the restaurant’s namesake and previous owner, Melvyn Haber. Haber was one of the Coachella Valley’s most iconic personalities. At the end of the evening, we’re ushered to the door and a polite valet takes our ticket to bring our car around. Though it might as well be a golden chariot. For tonight, we received an intimate invitation to a bygone era and storied past that will live forever. Tonight we were the stars. And it was pure magic.